What Is Oberlo Dropshipping ? This service is a drop shipper’s dream. Within a few minutes if not seconds you can import thousands of targeted products to your Shopify store and then sell items directly to YOUR customer. How perfect is that !Everything is automatic , well at least 80%, because you still need to manually hover your mouse and log into to oberlo . This is the most important questions to ask. Well if you are a serious business man , you should understand success does not come in FREE form .You need to sacrifice . However , Oberlo’s dropshipping is offering their Starter plan 100% free (click here to join now), and you’ll be able to use it until you receive 50 orders every month. You can check out Oberlo’s pricing plans here. What Profit Margins Can I Expect? If you’re sourcing cheaper products for around $5, you may find success by marking them up 4-5 times, which means that you’d be selling them for $20-$25. However, we don’t recommend this for more expensive products. If, for example, you source a product for $30, we’d suggest that $60 is an appropriate price point. 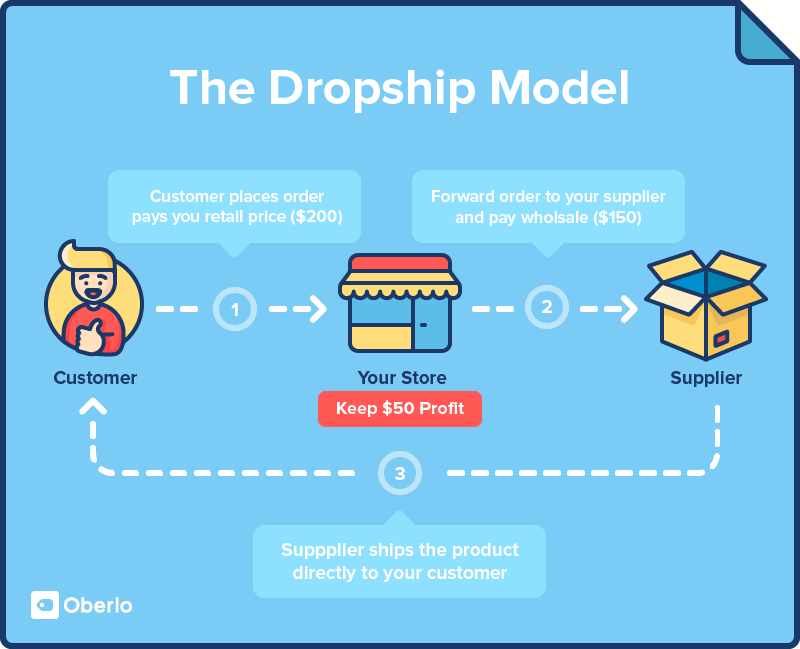 One of the best things about starting a dropshipping business with Oberlo is that it requires minimal initial funding. However, it’s important that you take into consideration all the expenses which you will incur: Shopify subscription, your marketing budget, and any additional funds you’ll need for your first orders. If you want to purchase a custom domain this will also cost a small fee. It’s important to note that it’s considerably less expensive to start a dropshipping business than it is to start a standard ecommerce store. You won’t need to source products in bulk, or worry about delivery, so it’s still one of the best ways to run your own online store. One of the great things about Oberlo is that you can dropship practically everything, however, we do recommend that beginner entrepreneurs try out a niche store first. There are several advantages to starting out with a niche store: less competition, easier to find your audience, more flexibility, and marketing is much simpler. How Long Does It Take to Make the First Sale? The length of time that it takes to make a first sale mostly depends on you. You can get your first sale on your first day, after a month, or after a year. It mostly boils down to the level of success that you find with your marketing activities, the amount of work that you put into your store, and the audience that you target. Previous This 22 Year Old Guy Went From Zero to $100K in His Dropship Business In 3 Months Time.